An open, aware heart is your camera. A oneness with your world is your film. Your bright eyes, your easy smile is your museum. Their strengths are the key to success for twice-exceptional. They thrive on intellectual challenges in their areas of interest and ability. Many 2e do best when given work that engages multiple senses and offers opportunities for hands-on learning. 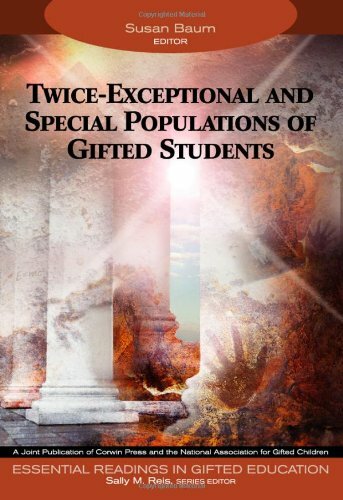 Twice-exceptionality can be considered an endogenous problem for gifted persons, particularly the more highly gifted. If a person has a vision, hearing, speech, or other physical disorder, the emphasis by professionals is most often on the disorder, with little emphasis given to enhancing their intellectual abilities. 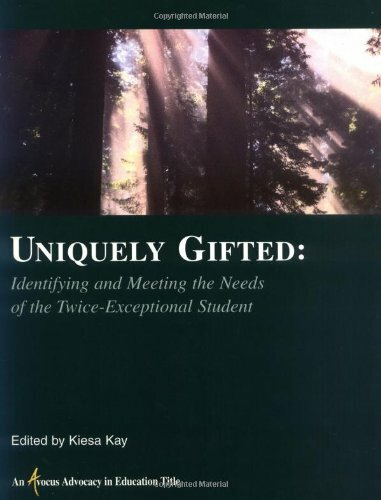 The gifted components are most often overlooked even though they have significant implications for the person’s educational and vocational success and self-concept....2e persons frequently underestimate their abilities because they evaluate their competence based more on what they are unable to do—the area(s) that lag behind—rather than on their substantial abilities; as a result, they often underachieve and are prone to depression. The dominant writing hand is not just a physical thing to do with controlling a pen but a mental thing to do with the way the brain is organised and where certain functions occur. The brain is “cross-wired” to the body so the left handed side of the brain controls the right hand side of the body and the right side of the brain controls the left. Changing the hand used for writing causes great confusion in the brain and can have a lot of knock-on effects. 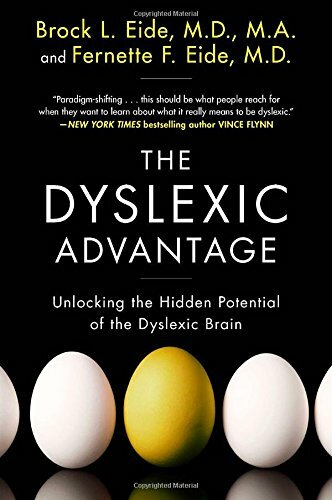 In my practice I have worked with hundreds of children with dyslexia and have found that improving one’s self-image involves three things: identifying advantages, nurturing passions, and encouragement (A.P.E.). Recognizing and using the strengths of the dyslexic learning style can be considered such an asset if thechild’s environment is sensitive to these strengths. Identifying passions and interests is crucial. Dyslexics often have particular subjects or activities with which they are fascinated. Finding ways to link their advantages to their passions can be difficult, but is an extremely powerful intervention. Practicing and building upon skills already proven to be an area of success fosters motivation and furthers that success. Writing is a process of the greatest complexity. 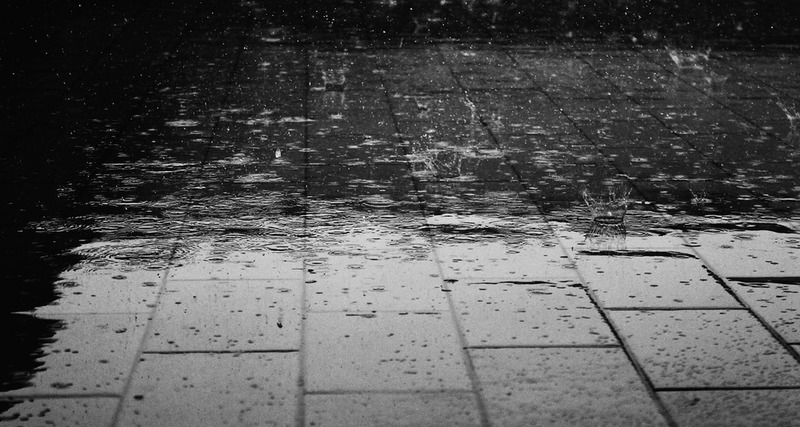 Moreover, because it involves many different brain functions, it is also one of the most difficult tasks; one which only human beings have developed and come to grips with. The pre-dominant use of the non-dominant hand leads to complex functional disturbances, inhibitions, blockages, and an over-burdening of the entire brain. During writing, the greatest variety of cerebral skills are included here. Examples are the fine motor skills, speech, the pictorial representation of imagination of the series of letters as well as the simultaneous chain of thoughts, associations, graphic representations, memories, and recall of previously learned material which also run throughout. 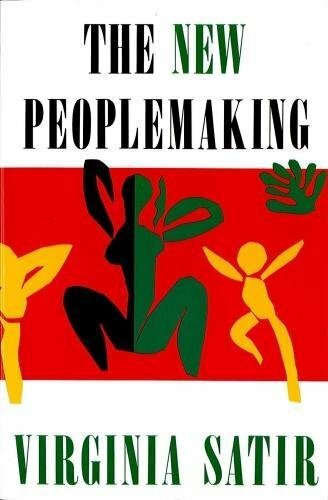 Scarcely any other human undertaking is comparable to writing in its multifaceted connections between the most differing brain functions. Accordingly, it is understandable why the overburdening that comes from converting handedness can lead to tremendous disturbance. UNCONDITIONAL LOVE. Tune out the diagnosticians and labelers and simply notice and nourish the spirit of your child for who he is. Providing this unshakable base of support will set the tone for all interactions to come. VIEWING THE MIRROR TRAITS. There are positive sides of the negative symptoms associated with ADD: stubbornness = persistence; impulsiveness = creativity; intrusiveness = eagerness. By recognizing the mirror traits, you avoid the ravages of shame and fear. THE CYCLE OF EXCELLENCE. Use this critical 5-step process to help a child develop self- and social awareness. Nurture an environment in which a child can safely take risks, reserve time to let a child dabble as a way to learn, encourage playful practice, support mastery of a skill (whatever the skill may be), and then recognize a child’s accomplishments. 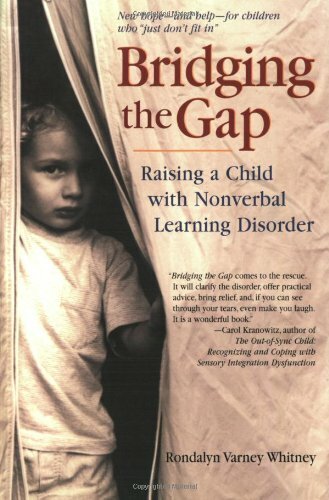 Children can be gifted and also have learning and attention issues. Many of these children go through school without being identified as having special talents or needs. “Your child is gifted and needs special education?” Many parents are all too familiar with this kind of comment. You may hear it from friends. From family. Even from some teachers and doctors. All gifted are not alike. What's important about Working Memory & Processing Speed? 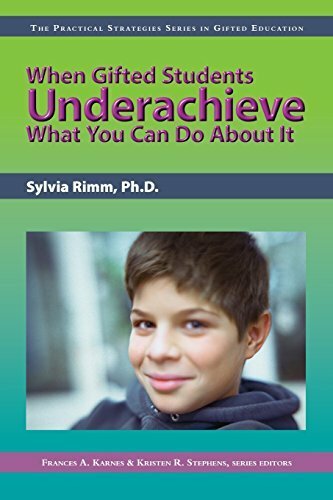 Problems in WM and PM are often seen in Twice Exceptional Student; can cause troubles at home, can impact relationships, often define people's feelings about themselves. 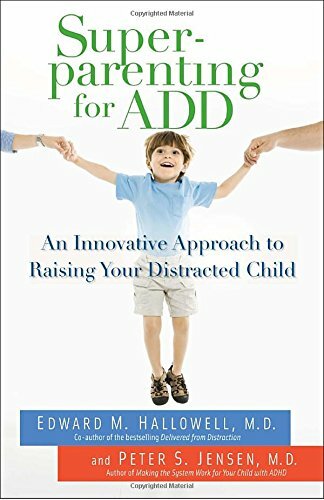 Highly gifted children are easily misdiagnosed as having attention deficit disorder (ADD or ADHD). 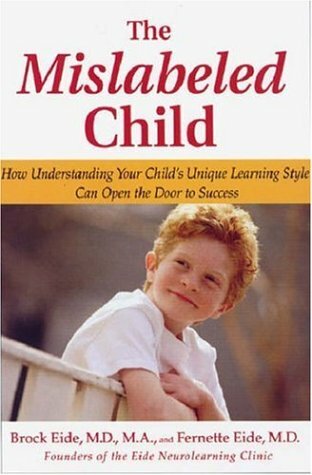 In K-12 classrooms everywhere are children at risk for being misunderstood, medically mislabeled, and educationally misplaced. Not limited to one gender, race, ethnicity or socioeconomic group, they could be the children of your neighbors, your friends, your siblings, and even yourself. A Switch in Handedness Changes the Brain: Forcing lefties to be righties results in more brain activity. Some brain regions are more active in 'converted' left-handers. 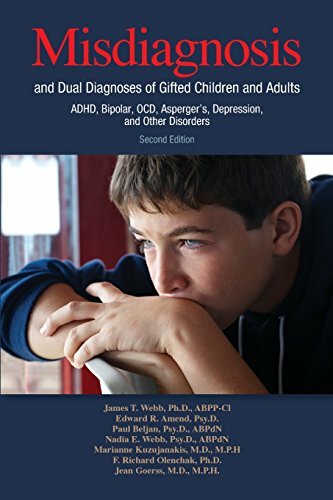 As a licensed clinical psychologist specializing in giftedness… I, too, am concerned about the too frequent mis-diagnosis and over-diagnosis of gifted and talented youth….Asperger’s Disorder is another that is becoming commonly mis-diagnosed in gifted youth. 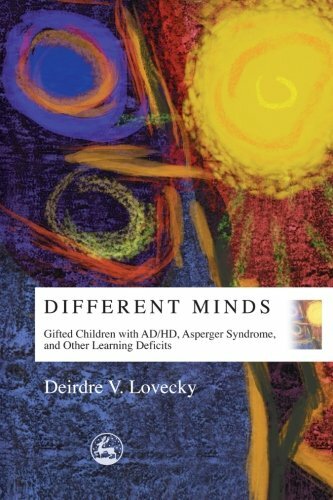 Although there can be similarities between a gifted child and a child with Asperger’s Disorder, there are very clear differences. Thorough evaluation is necessary to distinguish gifted children’s sometimes unusual and sometimes unique social interactions from Asperger’s Disorder….